NTSE (STSE) Stage-1 2019 exam was held on 4th Nov. 2018 at various centers in Uttar Pradesh. Examination Regularity Authority, Uttar Pradesh state has recently released the Official Notification for NTSE (National Talent Search Examination) stage-1. This will be a two-stage Offline exam as usual of which NTSE Stage-1 will be state level conducted by state board & NTSE Stage-2 will be conducted National Level by NCERT, Delhi. NCERT has fixed a seat-quota for each state (a fixed no. 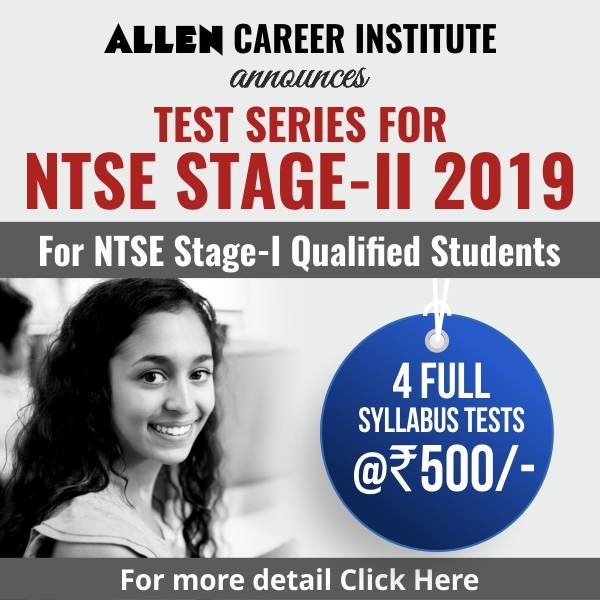 of seats are allotted to each state) for qualifying students of NTSE Stage-1. Any Regular student of Class 10th from a recognized school under Uttar Pradesh State Board and having minimum 60% (for General & 55% for Rest categories) in class 9th last year. Both of these papers will have 100 questions each with 1 marks for each right question. Exam duration will be 120 minutes for normal students & 150minutes for Visually impaired students. 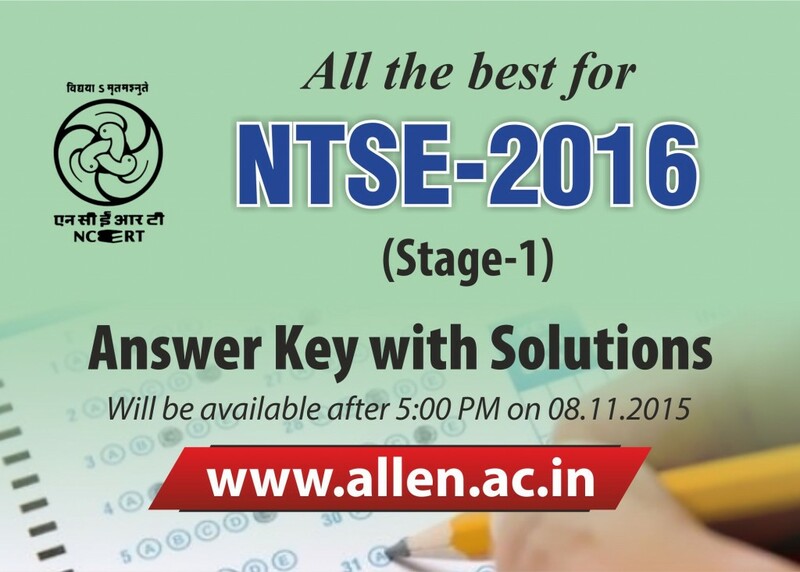 Students must read the Classroom syllabus of 9th & 10th for preparing the NTSE Exam. UP basic education board has declared the result of Uttar Pradesh NTSE 2018, conducted on 5th Nov 2017. 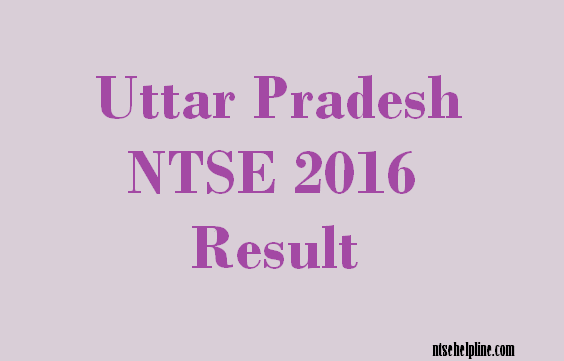 Total 706 Candidates have been cleared the Stage Level NTSE Exam from UP. Now these qualified candidates are eligible to appear in NTSE Final Stage, to be held on 13th May 2018 (Sunday). Sachiv Exam Uttar Pradesh, Allahabad has declared the result of Uttar Pradesh NTSE 2016-17 (Stage-I) which was conducted on 6th November 2017 (Sunday). Area wise list of selected candidates is given below. These candidates now eligible to participate in the Final Round of NTSE which is conducted by NCERT, Delhi. Exam of NTSE Stage-II date is 14th May 2017 (Sunday), admit cards and centers detail will be sent directly to the candidates before the exam. 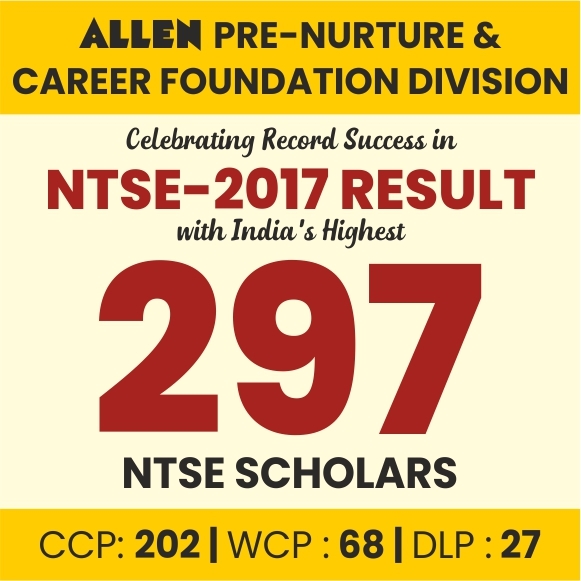 After clear the NTSE Stage-II Exam 2017 the successful candidates will get the scholarship from NCERT, Delhi. State Council of Educational Research and Training, Uttar Pradesh has released the Official Notification & Application Form for the UP State Level National Talent Search Exam 2016-17. Last date of the Application Form Submission is 24th Sept 2016. Admission Card is also attached with the application form. For other important exam details e.g. Exam Pattern, Marks, Syllabus & Exam Centers, etc. Download the following pdf. Uttar Pradesh State Talent Search Examination Result has been declared by UP SCERT. 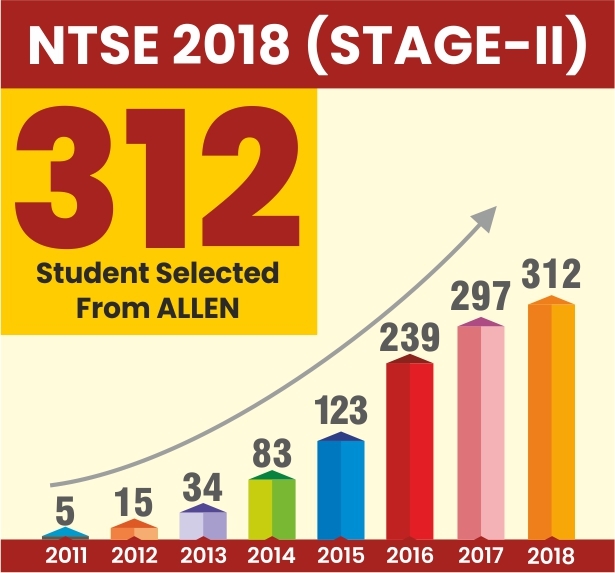 Total 852 candidates have been qualified in the 1st stage of NTSE from Delhi region and now these students are eligible to appear in NTSE Stage 2 Exam, conducted by the National Council of Educational Research & Training, Delhi. Qualified students need not to pay any application fee for NTSE Stage 2 Exam. This time SCERT Delhi has not released the Marks & cut off Marks obtained by the candidates. Only released the list of district wise selected candidates Roll Numbers.